This is a follow-up study to a detailed survey of a body with Major volcanism [1,2]. 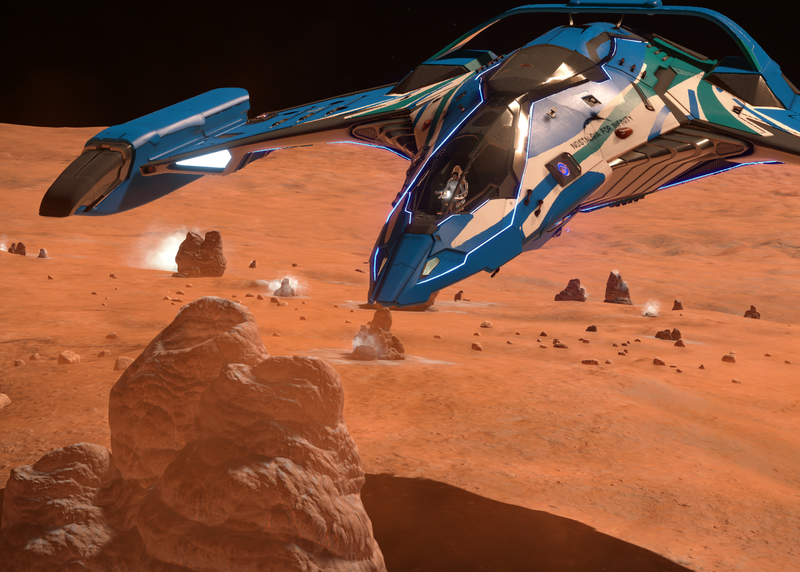 The goal of that study was to investigate the number of sites in a body with Major volcanism and complement the work carried out by CMDR Varonica . The body that was surveyed in the first study (HIP 20580 B 1 A) only had 7 volcanic sites, which was only half the number found by CMDR Varonica in Hyadum I 2 A (total of 14 sites). 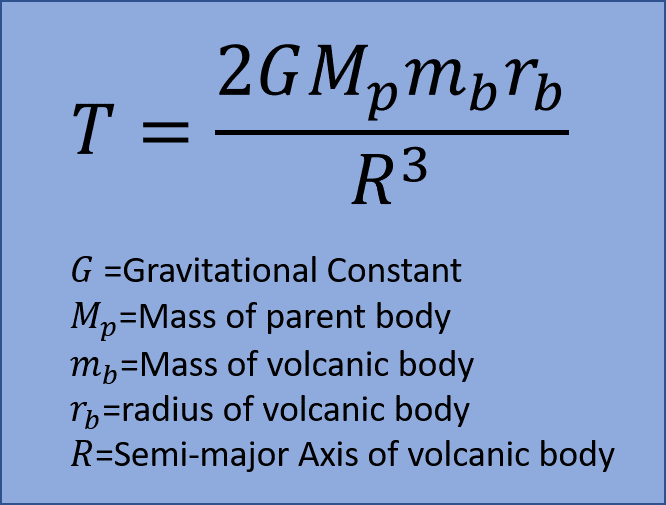 A series of discussions  suggested that perhaps the number of sites found on a (closely-orbiting) body is more directly related to the Tidal heating experienced by the body due to its parent, which is something dependent on both the magnitude of the Tidal Force  and the body’s rotational characteristics. Although Hyadum 2 A experiences a lower Tidal Force than HIP 20580 B 1 A, it has a retrograde rotational period, meaning it has more tidal heating than HIP 20680 B 1 A, which is tidally locked to its parent. The goal of this second study was to find a body similar to Hyadum I 2 A, i.e. with high tidal force and a retrograde rotational period, and carry out a detailed survey of the number of volcanic sites. The twin world Ariminimi A 1 was selected because it is a low-radius body experiencing a high Tidal Force, an orbital period of 0.6 days, and a rotational period of -0.5 days. It should be noted that a retrograde rotational period may not necessarily be a requisite for having a high number of volcanic sites. Perhaps the difference between the body’s rotational and orbital periods is the more relevant parameter. A body that is tidally locked has a differential of zero, whereas a counter-rotating body has a much higher differential. However, in order to replicate the Hyadum I 2 A experiment as close as possible, we picked a body with a retrograde rotational period. The equation above was used to screen out candidates for this study. It future studies, a parameterization of Tidal Heating will be used instead, but for the time being the Tidal Force in conjunction with a negative rotational period serves as a measure of a body’s tidal stress. The goal was to measure the number of sites on a body with Major volcanism. The survey methodology was described in detail in the first study in this series  and will be referenced here in its entirety. A total of 16 Silicate Vapour Fumaroles were discovered on Ariminimi A 1. This represents a new single-body record. The distribution of the volcanic sites is shown below. The number of sites is 16, which is a similar number found on Hyadum 1 2 A (14 sites). 14 out of 16 sites are located in the northern hemisphere of the body. Most sites were located in relatively “featureless” areas of the body. The result above effectively replicates that of the Hyadum I 2 A experiment. The second point above might be due to chance, but a more detailed analysis of general angular distribution of sites will be needed. The third point is consistent with the results of the HIP 20580 B 1 A study which found that the majority of sites were not located in canyons. The results of this analysis, in conjunction with that of the Hyadum I 2 A experiment, seem to indicate that Tidal Heating is the primary driver of volcanic activity found on closely-orbiting bodies such as moons, twin worlds, and moons-of-moons. The formalism presented in the Theory section of this paper will be expanded to include a more formal treatment of Tidal Heating. A statistical analysis will be carried out to investigate the correlation between volcanism rating and Tidal Heating.